Hozier has premiered his new music video for 'Nina Cried Power' and in it he pays tribute to a multitude of activists for their work. 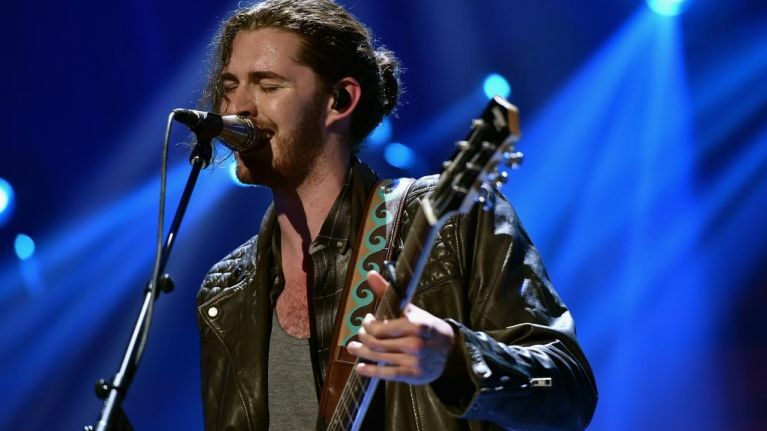 The video, co-directed by Patrick Ryan and Jon Hozier-Byrne, features Hozier, Mavis Staples, and 20 additional artists and activists listening to the song for the first time and captures their reactions. To celebrate the release on Wednesday evening, Hozier shared an introduction to the video via Facebook Live. He also encouraged fans to donate to the ACLU in honor of the causes supported by those featured in the video. According to a release along with the video, "the song was intended as a thank you note to the spirit and legacy of protest; to the artists who imbued their work with the vigour of dissent, and a reflection on the importance of that tradition in the context of the rights, and lives, we enjoy today. " Thank you to Victoria Chihumura for fighting tirelessly for equal opportunities in education.